Morning! I hope you are all well and having a fab week. I have noticed that preparations are starting for the Jubilee with bunting popping up around the country. 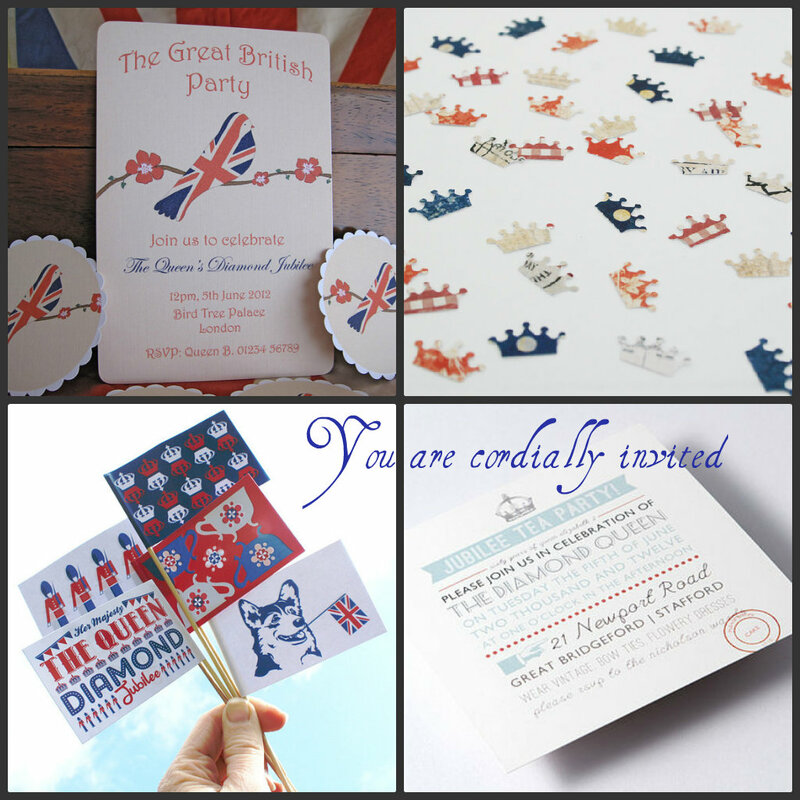 So for todays post I thought I would gather some Diamond Jubilee Party inspiration. I think tea parties or street parties will be a prominent feature in our diaries over the Jubilee bank holiday weekend. There will be miles of bunting hung around villages, along streets and adorn shop windows and the vintage tea cups will be unpacked and crusts cut off sandwiches. Fluffy victoria sandwiches will sit amongst sausage rolls on trestle tables on traffic free streets and village greens. Red, white and blue will be the main palette or softer vintage tones will feature on our party tables or as icing on top of cupcakes. The iconic image of the Union Jack will be seen everywhere, as cupcake toppers, bunting and even berries on top of cakes will be arranged in this design. 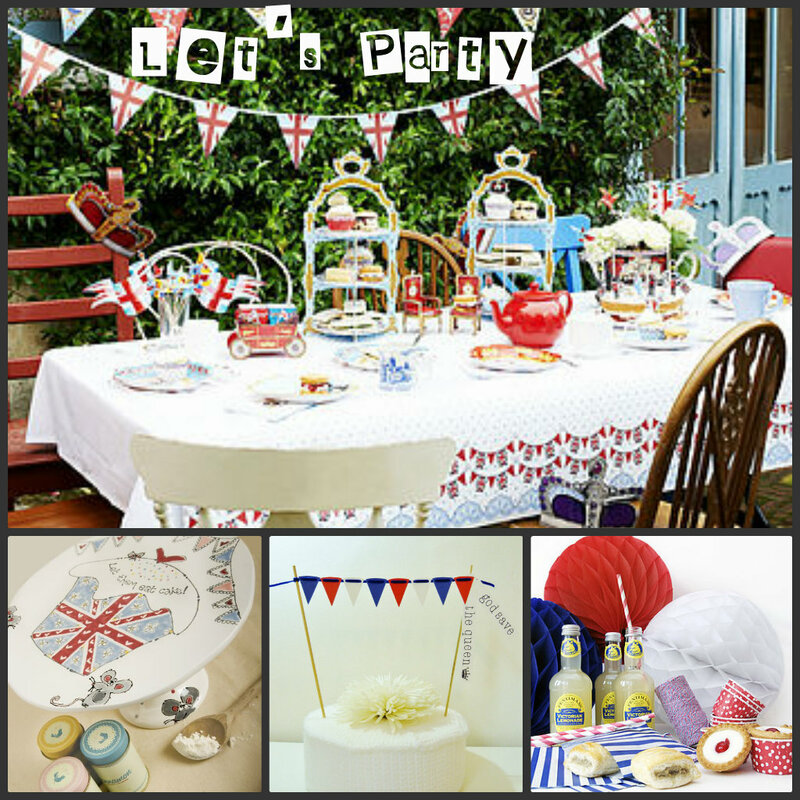 Here are few ideas to help with your Jubilee party planning. 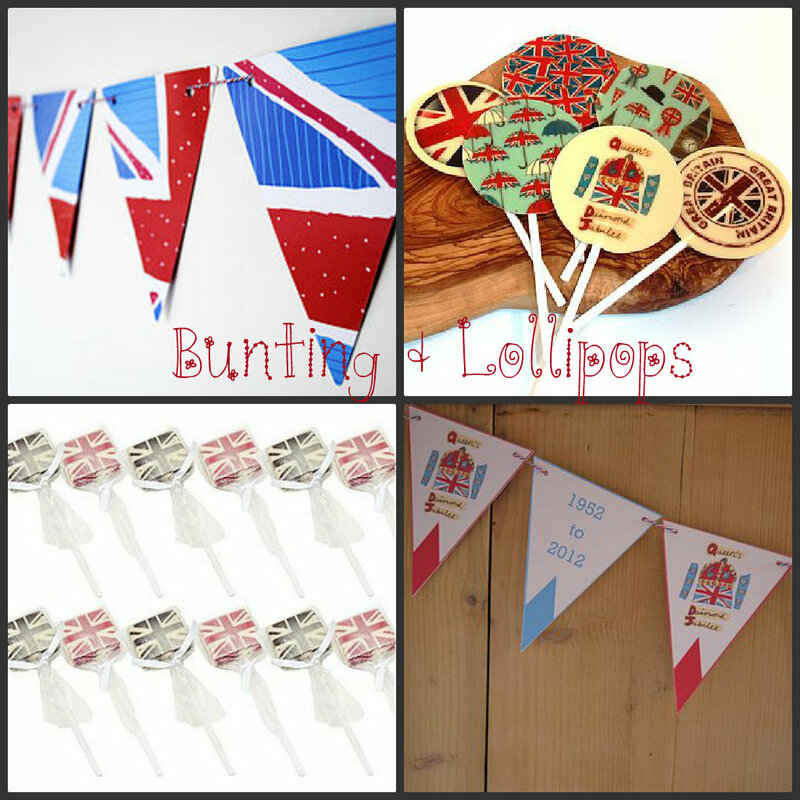 Have you been planning a Jubilee party? Don’t forget to take lots of photos to share with us in June. There all sorts of events in our village over the bank holiday weekend but having compiled this post I now want our own Jubilee party!